When we have eye troubles, we are usually asked to get our eyes checked. But how do we really know which eye care professional to consult? If you need primary eye care like prescription of eyeglass lenses and contact lenses, glass fittings, refractions and postsurgical care, you should first consult an optometrist. An optometrist is an eye care specialist that mainly performs eye exams and prescribes corrective lenses. “We are often the first responders when it comes to vision problems. People usually come to optical shops and have their eyes checked for possible issues. 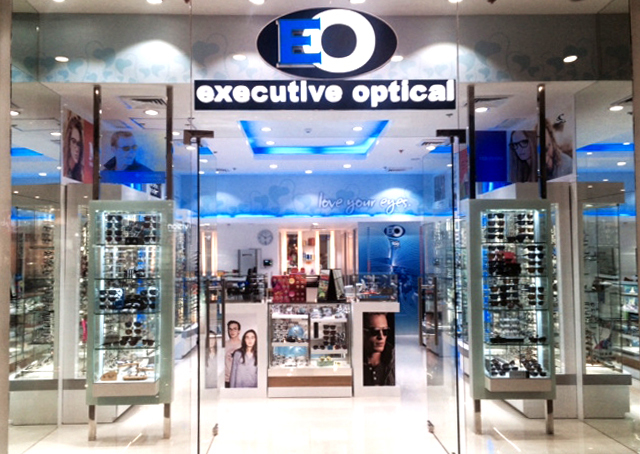 That’s why optical shops like EO Executive Optical have at least one licensed optometrist always available for customers,” said top optometrist and EO Operations Team Regional Manager Dr. Josephine Yap. “Seeing our patients smile as we help them care for their eyes is more than enough. This job is very rewarding because we get to be instrumental in them achieving better eyesight.” said EO Group Manager and optometrist Dr. Angel Reyes. Data suggest that there’s a high demand now for optometric services with the kinds of lifestyle people lead. That’s why EO is an advocate in making this profession thrive. “Not a lot of people know that it is actually a viable profession – that they, in fact, specialize in different fields to better serve the customers,” said EO president/CEO Dr. Maximino S. Uy. According to the Integrated Philippine Association of Optometrists, fields of specialization in optometry include developmental and behavioral optometry, sports vision, contact lens and cornea, and low vision. Developmental and behavioral optometry is concerned with how the brain processes the visual input and how vision affects behavior. While Sports vision deals with eye care services for athletes, Contact lens and cornea focuses on the proper use of contact lenses to enhance eyesight. Then there’s low vision which mainly centers on treating patients with a reduced level of vision that cannot be completely corrected by glasses. EO Executive Optical ensures its optometrists continuously undergo trainings and seminars to be up-to-date with the latest technology and research findings in their field. So get your eyes checked by an EO optometrist today.